Google sure knows how to push Steve Jobs' buttons. This advertisement for Google's new instant search system is bound to get under the Apple CEO's skin — and intensify one of the most heated rivalries in tech. 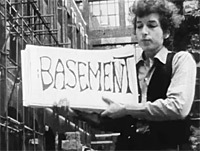 The ad combines a video of Bob Dylan's influential 1965 tune "Subterranean Homesick Blues" with shots of Google Instant, the company's new buttonless search system. It's a mash up that won't sit well with Jobs. 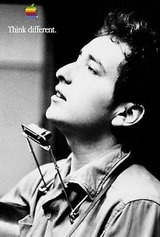 The Apple chief has long counted Dylan as an idol and inspiration, once reportedly reading an entire verse of the folksingers lyrics aloud at an Apple shareholder meeting. That recitation was telling: As far as Jobs is concerned, Apple was always supposed to be the culturally resonant, emotionally relevant, vaguely countercultural force in tech. Not Google, with its army of computer science PhDs, its obsession with testing and metrics, and its utterly tone-deaf public pronouncements. Now the Google droids, of all people, are invoking a folk music hero? They are, and that may well be an intentional provocation. An intense rivalry opened between Apple and Google when the latter's Android smartphone platform squared off against Apple's iPhone. The resulting executive rage manifest itself in an epic fight between Jobs and his Google counterpart Eric Schmidt (a fight followed by a sort of public reconciliation). Or maybe the Google ad is just flattery by way of imitation. Schmidt is said to have admired Jobs in much the same way Jobs admired Dylan. And he's smart enough to know that, at a time when Google's trying to enter deeper and more profitable relationships with customers, its image should be less about precision engineering and more about connections between people; as much about culture and lines of authority as about technology. Hence, the Dylan spot. That's not to say the Google ad is up to Apple standards. It riffs on a film originally included in the D. A. Pennebaker documentary Don't Look Back, in which Dylan holds up a series of cards corresponding to lyrics from "Subterranean Homesick Blues." In Google's version, scenes from the original clip are interspersed with matching results on Google Instant. It's not a particularly clever use of the music, nor an original one; imitating the Dylan lyric cards sequence has become fairly hackneyed over the decades. Nor does the spot pack the emotional punch of this year's Google Superbowl ad. Still, it's accomplishment of licensing, at the very least: Dylan isn't much for advertising, the occasional Victoria's Secret and Cadillac spot notwithstanding. Lord knows, Google can afford him, and any number of other cultural icons. Whether the company should is another matter. Powerful algorithms and A/B tests can accomplish many things on the internet, but accounting for taste is not one of them.